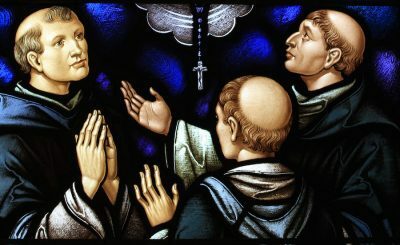 Thank you for supporting the formation of Dominican student brothers! Your gift entitles you to register for the canonically-recognized giving society, the Deserving Poor Boys’ Priesthood Association. Or, if you have made the gift in honor of a deceased Catholic loved one, you may register that person in the Deserving Poor Boys’ Purgatorian Society.